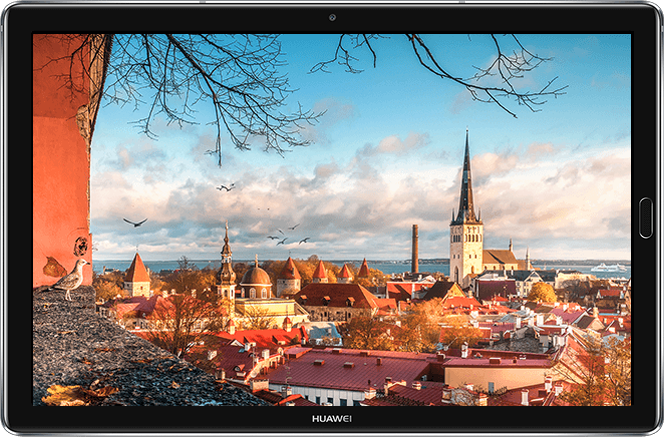 High-end Android tablets may have largely gone the way of the dodo, but that hasn’t dissuaded Huawei. At the 2018 Mobile World Congress, the company took the wraps off the MediaPad M5 series, a range of premium slates with high-resolution screens, speedy (albeit last generation) processors, and Android Oreo. 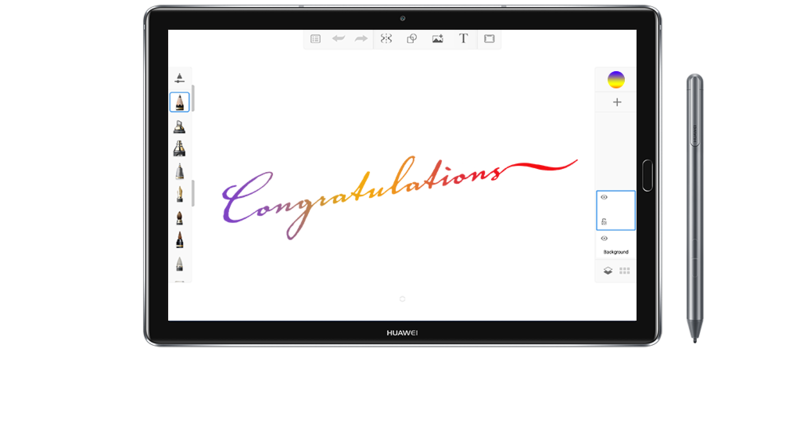 On the software side of the equation, the MediaPad M5 tablets run Huawei’s homegrown Emotion UI 8.0 on top of Android 8.0 Oreo. That’s a pretty major upgrade from the MediaPad M3’s Nougat-based firmware, and it allows the tablet to pack features such as picture-in-picture (PiP), Autofill apps, notification channels, intelligent text selection, and more. It’ll benefit from Huawei’s company-wide security policy, which will see the tablet get Google’s monthly Android security patches over the next two years. Under the hood, the M5 series trades the M3’s HiSilicon Kirin 950 processor for the Kirin 960, an octa-core processor with four 2.4GHz ARM Cortex-A73 cores and four 1.8GHz ARM Cortex-A53 cores paired with a Mali-G71MP8 GPU. It’s not quite as powerful as the Mate 10 Pro’s Kirin 970, but should be more than enough for productivity tasks and media consumption. 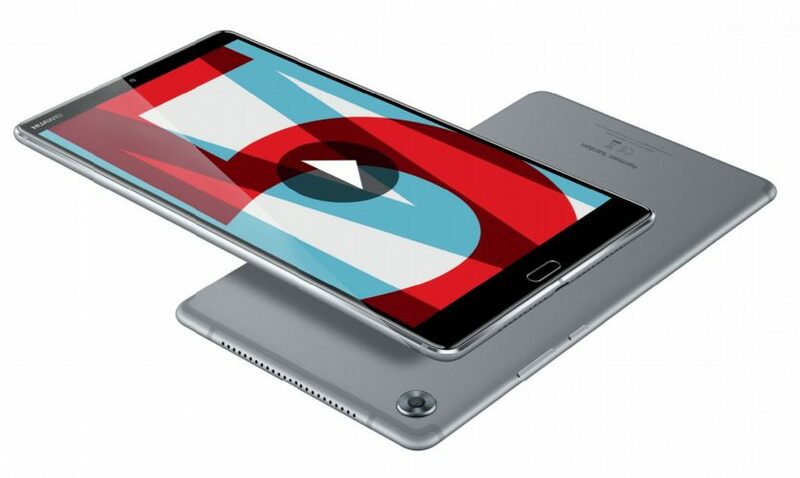 The tablets’ other highlights include an Eye Comfort Mode that reduces blue light exposure; a USB Type-C connector; a 8MP front camera (with a fixed focus) and a 13MP autofocusing rear camera; a built-in microphone; support for LTE, Bluetooth 4.2, and Wi-Fi 802.11a/b/g/n/ac, Hi-Res audio; physical home buttons and fingerprint readers; and Huawei QuickCharge. The MediaPad M5 10 Pro, M5 (10.8), and M5 (8.4) come in two colors, Space Gray and Champagne Gold, and ship with a 9V/2A travel charger and a 3.5mm headphone jack adapter. But that’s more or less where the similarities end. 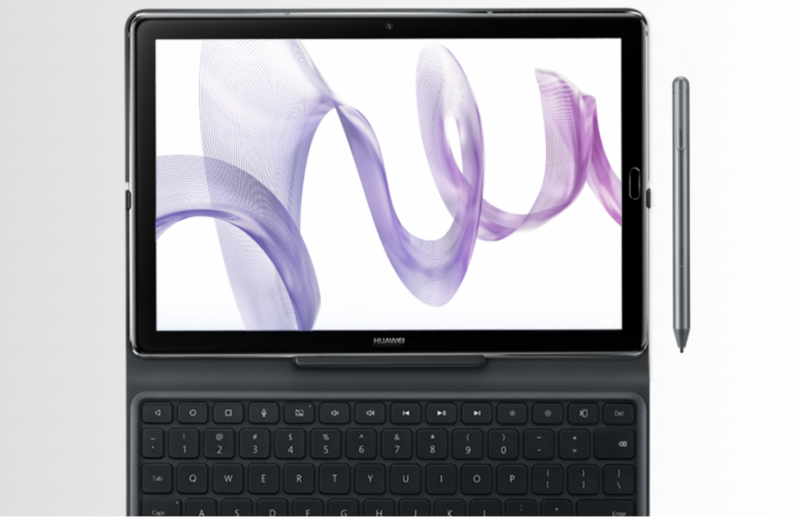 The MediaPad M5 10 Pro, the flagship of the bunch, comes with Huawei’s M-Pen stylus (which lasts 50 hours on a charge, has up to 4,096 levels of pressure sensitivity, and supports tilt and shade effects) and built-in POGO pins that allow it to pair with keyboard accessories. 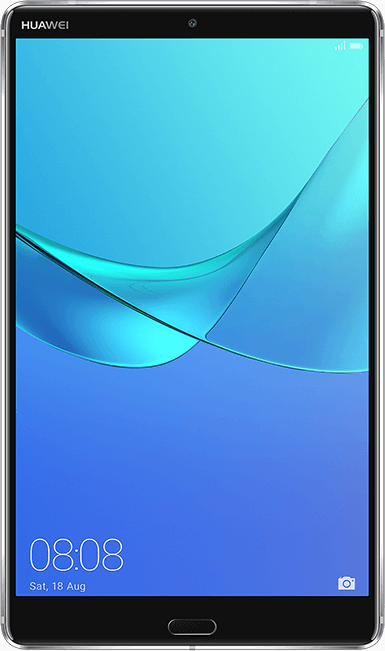 It also packs four Harman Kardon professionally tuned speakers with Huawei’s Listen software and a 7,500mAh battery that takes just 2.9 hours to charge. There’s also a “Desktop View” that adds a taskbar to the bottom of the screen with easy access to shortcuts for file sharing, deleting images, launching apps, and editing. 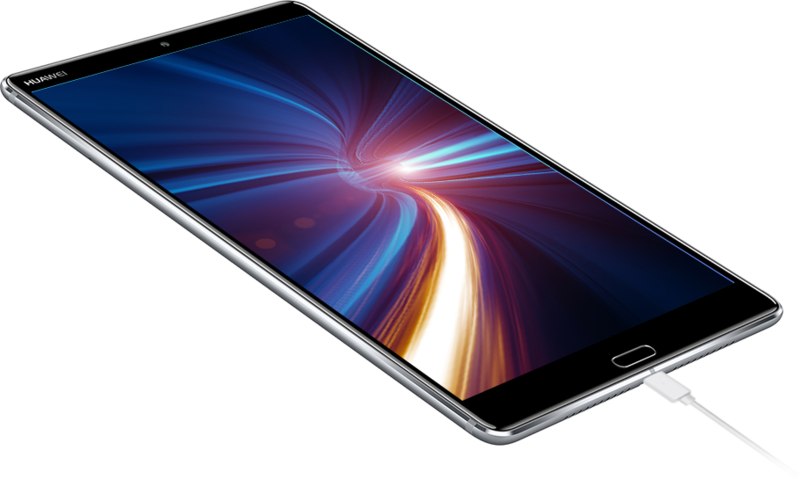 The MediaPad M5 Pro starts at €499 for the Wi-Fi-only 64GB model, €549 for the 128GB Wi-Fi model and 64GB LTE model, and €599 for the 128GB LTE model. The MediaPad M5 (10.8), a slight step down from the 10 Pro, is available in 32GB/64GB/128GB configurations and retains the M5 Pro’s 4GB of RAM, Kirin 960 system-on-chip, and 7,500mAh battery. The MediaPad M5 (10.8) starts at €399 ($490) for the Wi-Fi-only 32GB model, €449 ($552) for the Wi-Fi-only 64GB and 32GB LTE model, €499 ($613) for the Wi-Fi-only 128GB and 64GB LTE model. 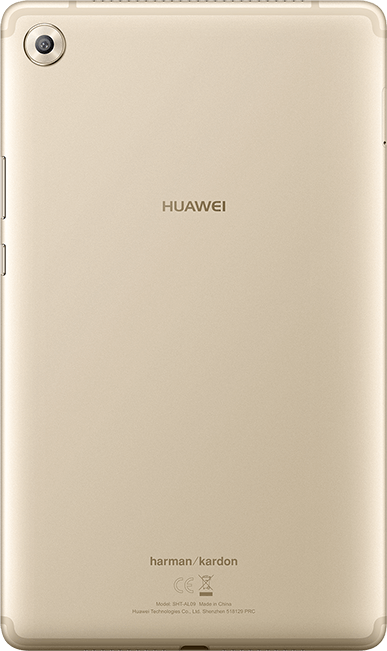 The 128GB LTE model costs €549 ($674). 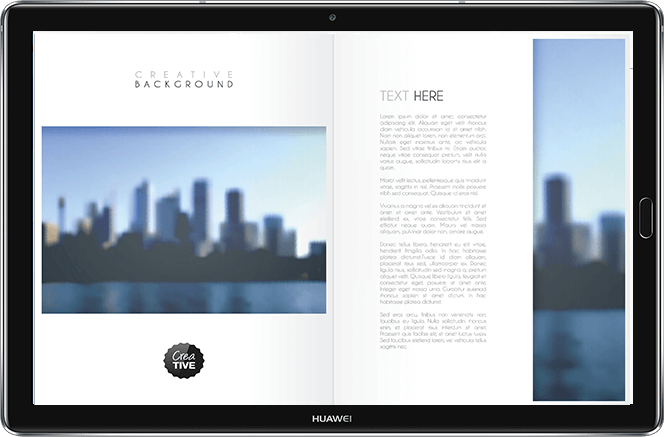 The MediaPad M5 8 is a smaller, cheaper variant of the MediaPad M5 (10.8). It has two speakers instead of four, a slightly smaller screen size, and a 5,400mAh battery that delivers up to 11 hours of battery life and takes only 1.9 hours to charge, but those are the only differentiators between it and the M5 10 Pro and the M5 10 (10.8). It’s got 4GB of RAM, 32GB/64GB of internal storage, and every other hardware specification in common. Pricing starts at €349 for the Wi-Fi-only 32GB model, €399 ($490) for the 64GB Wi-Fi-only and 32GB LTE model, and €449 ($552) for the 128GB Wi-Fi-only model and 64GB LTE model. 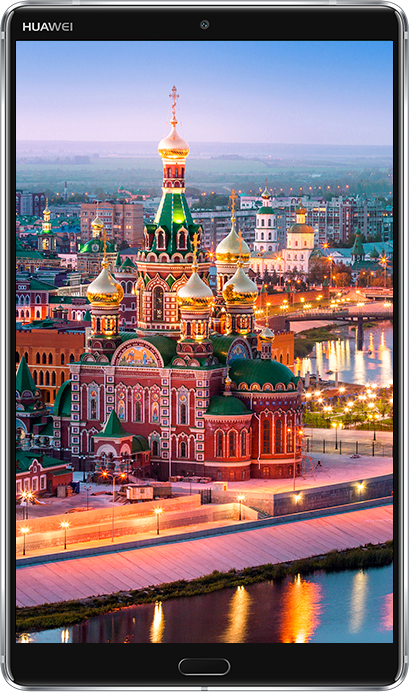 The 128GB LTE model is €499 ($613). 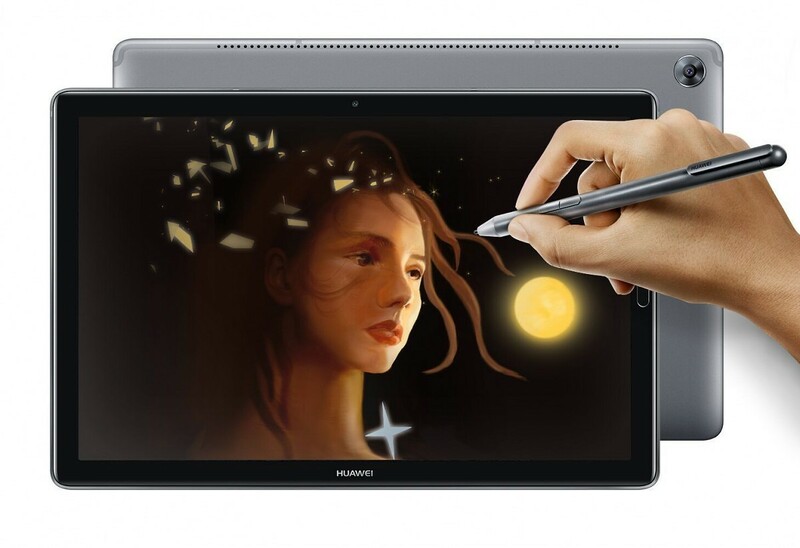 What are your thoughts on these new tablets? Let us know in the comments below!